For all of you who have emailed me about monetizing your blogs, I’ve put together a list of 8 ways to get you started. 1. Set up a FREE Paypal account. This will be the simplest way to collect your compensation. If you’d like you can still use snail mail for many companies. Be sure to check the payout types for each affiliate as some do only offer payouts through Paypal. 2. Decide on a system for tracking income. I use Outright.com which is FREE. As you enter your income you can set up charts, and print them out for your tax advisor. You can also get an estimation of taxes due. Outright will also allow you to track your expenses. 3. Sign up for affiliate companies. 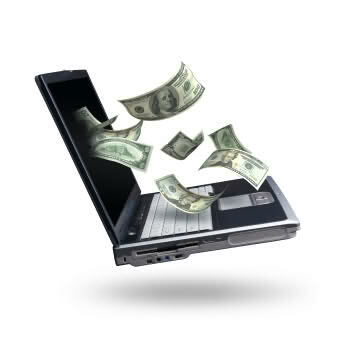 Affiliate companies usually compensate on a pay per click or pay per lead basis. 4. Choose some campaigns that are relevant to your blog. Once you are approved, log into your account and take a look at the available campaigns. When you see a campaign you like, click on the link to see the available promotion methods. You can usually choose between text ads and visual ads. Some ad networks allow you to choose the companies you’d like to work with. These ad networks include Commission Junction and Linkshare. If you’d like to be notified when new ads are available be sure to update your notification options in your account. 5. Begin placing relevant ad links in your posts or image ads on your blog. In the beginning, if your blog is a deals blog you may want to choose ads that offer coupon discounts for stores you regularly post about. Choosing relevant ads can be tricky at first. If your readers are not accustomed to being led off site they may be confused by the ads and/or text links in your posts. You may want to try adding an explanation before the link letting the reader know why you are sending them off site. For example : If you are telling them about your favorite vacuum cleaner and you have a campaign that sells it try typing something like. You can find out more information about my favorite vacuum by visiting affiliate link XYZ. I am totally in the love with my new Oreck Upright vacuum. When adding campaigns to your site look for topics that you’ve already talked about which your readers have shown interest in. Try to find campaigns that match those topics. 6. Check your statistics at least once a month. When checking your stats you are looking to see which campaigns your readers are responding too. You are also checking to see which campaigns have ended. Once campaigns end the links are redirected to an affiliate generated dead page. Checking your stats will allow you to see how many leads you’ve generated per campaign. This information will help you determine what types of offers your readers want. 7. Be transparent and disclose the fact that you are compensated for ads on your blog. The FTC requires it so be sure to add a disclosure, privacy and disclaimer policy to your site. You can read mine here and make your disclosure policy for FREE here. 8. Don’t compromise the trust of your readers for a buck. Don’t offer your readers products and campaigns that you do not or would not use yourself. If you allow the all mighty $$$ to fuel your campaign choices you will end up losing the trust of your readers and the $$$ you hoped to gain. There is no limit to the number of advertising networks you can sign up with. As you get to know more about each network, you’ll get an idea of which ones work for you and which don’t. I hope this post was helpful. If you’d like to read more like it be sure to subscribe to my FREE update HERE. I’ve recently created a second blog for earning income, so it was great to run across your blog and get some great tips. Thanks! You’re welcome Christina. I wish you much success with your new blog. This is a great starting point for me. I did not know about the disclosure statement so I created one right away! Thx. You’re welcome Allie. It’s so nice to meet you. If you have any questions about monetizing I’ll answer anything I can. Another great resource is the #savvyblogging twitter hashtag. If have questions just tweet them using the hashtag and someone will shoot back some answers for you. Good luck! Great tips, thanks! I have signed up with logical media, mysavings, commission junction, google affiliate network, and escalate – but will take a look at the others too. Have you used Juice box junction? I’ve heard good things, but apparently they are full? I’m not signed with Juice Box. I don’t like the look of their ads and did not think it would be a good fit for my site. I have been experimenting with Six Apart Media and Lijit for the last two months to see if they should stay in my top ten. This month I’ll be running the numbers for my Linkshare ads. I don’t want to keep ads on the site or promote things my readers don’t want or need. Great points! I wanted to add to your #8 to be sure and check your links to make sure they’re not spam (sometimes affiliate links run out and redirect to something else). You can also write up content around those links to make them more “weighty” and not just commercials. Thanks for the inclusion Gina. I spend a great deal of time going back and breaking old links that have been redirected to new offers. Really useful and practical steps! Love how you broke it down! Thank you for commenting and Tweeting this post Julie. A Proverbs Wife, you must have knew what I have been researching. I want to thank you for this post. This will help me out so much. As a single parent who works for a non-for-profit, I NEED a string of second income. I started my blog as a hobbie, but learned that most receive some sort of income blogging. Thanks for this, I now have to get ready for work and try to find some time to really get into this post. You’re welcome Antoinette. If anything is confusing just let me know and I’ll do my best to clarify.